This last weekend was Canadian Thanksgiving. As planned, we went out for a paddle, although we went on the Monday rather than Saturday because the weather was bad on Saturday. We wore our new wetsuits and paddle jackets, that we bought the week before, to protect us from the colder weather this time of year. 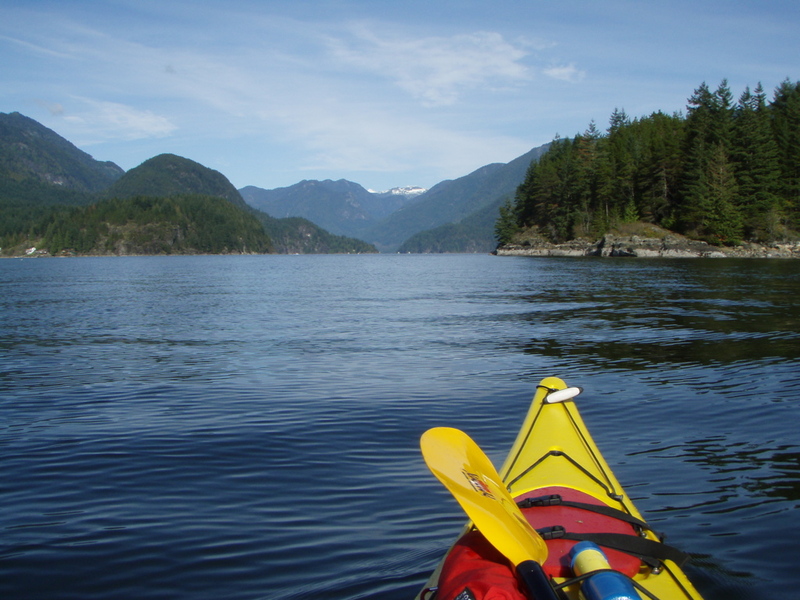 It was only afterwards that we learned that two kayakers died in Howe Sound the same weekend. They went out on the Saturday when the weather was bad, and without sufficient safety gear and warm clothing to ensure their survival. As fellow kayakers, our hearts go out to their families and their loss. The reports described them as "adventure racers." "The survivors reported storm conditions with waves up to two metres high, but no one in the group was wearing a wetsuit or a lifejacket." I would not want to face conditions anywhere near like that without suitable gear. 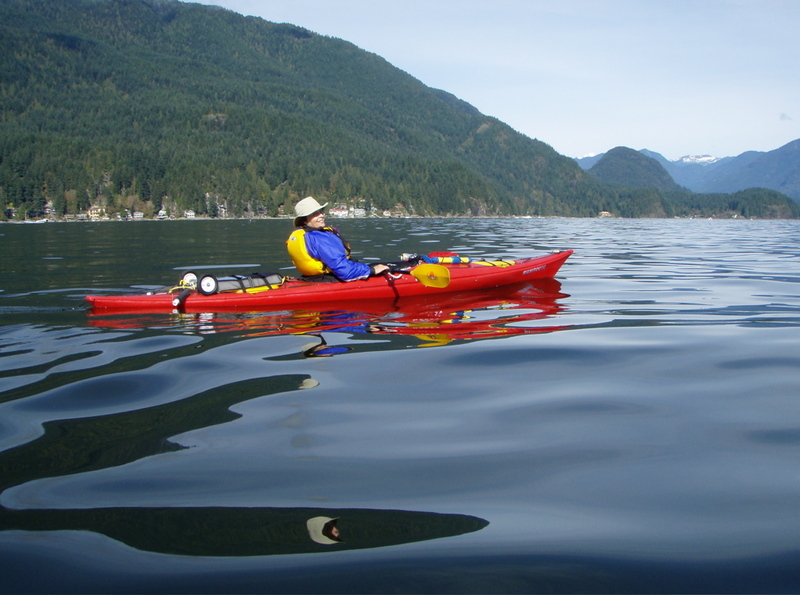 When we went out on the Monday, up Indian Arm, we were fully decked out, plus I took a marine radio and monitored channel 16. To me, it is most important for us to make it back alive. That's why I make sure we have all the safety gear and know how to use it. Also, when we are on a club organized paddle, as the current president of the Port Moody Canoe and Kayak Club, I am keen to make sure noone is lost on my watch. The loss of the two kayakers impressed on us that you have to be careful in this sport. The timing was also amazing, in that we had only recently got better gear for the cold weather. We like to paddle throughout the year, and we needed to be suitably prepared in case one of us fell into the water. If club members want to go out paddling with us this time of year I will require them also to be suitably equipped. I don't consider myself as a senior/experienced paddler, but I understand not to take risks, especially avoidable ones that can lead to events like this past weekend. I want to live long enough to be able to someday call myself an experienced paddler. I really enjoy this sport, and I want to be doing it for many years to come. If you have any comments or thoughts on this to share, please comment below. More photos from this weekend can be seen here.